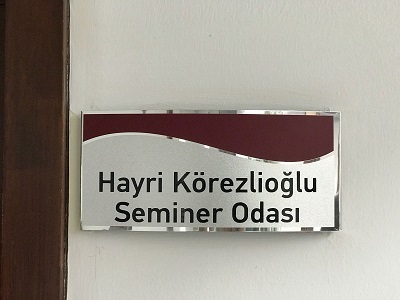 Hayri Körezlioğlu Seminar Room was opened on June 26, 2018 with the participation of all members of the Institute of Applied Mathematics. Ahmet Hayri Körezlioğlu was born in Kula in 1930. After high school education in Izmir, he entered Istanbul Technical University (ITU). After studying at ITU for a year, he went to France by winning a scholarship. He got his BS degree in Mathematics from the University of Paris and M.Sc. degree in Engineering from the École Nationale Supérieure des Télécommunications (ENTS). After his Ph.D. in Mathematics at the University of Paris under supervision of Jean-André Ville, Prof. Körezlioğlu participated in Department of Mathematics, METU in 1966 and made contribution to foundation of the department. After having served as head of department from 1968 to 1972, he returned to the ENST in 1973. Between 1973 and 1997, he worked as a professor at the ENST and made substantial contributions to the expansion of the educational and research horizons of the institution. After receiving his retirement from ENST in 1997, he returned to METU in 1998. Prof. Körezlioğlu, one of the founder of Institute of Applied Mathematics, METU, was the head of Financial Mathematics Programme until he passed away on June 26, 2007. 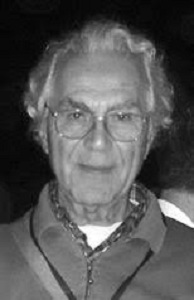 Prof. Körezlioğlu was the supporter and pioneer of modern probabilistic education in ENTS and METU. 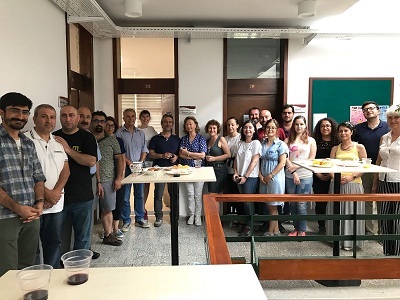 Since 2012, Mathematics Foundation of Turkey organize a research award in the name of Prof. Hayri Körezlioğlu for young researchers in the fields of Financial Mathematics and Stochastic Processes and its Applications. About Prof. Hayri Körezlioğlu, please visit this link (In Turkish).